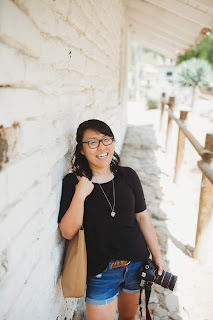 I never ever thought I'd write this kind of post, but you all know I'm all about vulnerability and transparency, and this post definitely goes along with that. I've decided that 2017 will be the year of less make-up. I'm slightly terrified about this challenge, but equally excited to see how it goes. But I think there needs to be a little backstory to it all. Growing up, I was the antithesis of girly. I hated dresses, wore my hair in ponytails nearly every day, and vowed that I'd never wear make-up. Secretly, I envied the girls in middle school who could pull off the shiny glittery eye shadow, but there was no way I'd ever consider putting it on myself (side note: I also lived in a time without Youtube tutorials for Asian monolids, so there's that, too). Aside from lipgloss and tinted lip balm/gloss, I don't think I actually owned anything make-up related until I was in college, now that I think about it. I started buying some concealer (after borrowing my mom's in high school) and some other basics to cover up zits but never wore foundation (which, looking back, is a wonderful idea if you want to achieve a patchy look!). And then this past summer, hormones hit and so did a lovely dose of cystic acne. I thought I had bad skin back in middle school. Nope. The cysts came out of nowhere and they took over with a vengeance. It's not a pretty sight. I wore make-up nearly every day (even going grocery shopping!) and hated waking up to look at my face in the mornings. I avoided running because I didn't want anyone to see my face without make-up. I tried everrrrything, and pretty much vowed to never take a photo of myself again, especially sans make-up. And with those cysts came a incredible decrease in my self-esteem and self-worth. I started questioning my beauty and to top it off, I was single and began wondering if anyone would ever find my pretty and date-worthy. 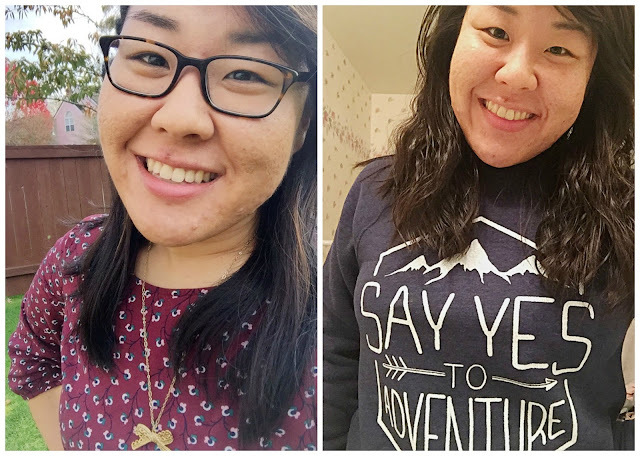 This past December, I decided that I'd start doing something about my complexion. With nearly a month away from work, I figured I could easily hide at home and go make-up free. I started using Renee Rouleau's Anti-Cyst treatment, drinking more water, washing my face less, getting more sleep, working out more, eating less, and using raw honey/cinnamon/nutmeg masks. And slowly but surely, my face started to heal. There are still lovely scars, but I don't feel like my face is nearly as red as it was even a month ago. I've still got cysts (because lucky for me these take the longest to heal and recover), but I finally feel more and more like myself. Around the same time, I starting seeing blog posts about Alicia Keys and the no make-up movement, no make-up challenges, and other posts about wearing your face proudly. And I started to think about my middle and high school self. Before, when a zit appeared, I didn't do much to treat it (which isn't the answer, but I was a naive teenager). I didn't feel the need to hide behind make-up. And I realized how much I missed that side of myself. So I've decided to call this year the year of less make-up. I want my skin to breathe more, I want to find skincare regimens that work and I want to take care of my body and feel good in my skin, too. Blemishes and scars and all. I'm scared, to be honest. I worry that people will think of me as less than because of my skin. I know it's superficial, but it's true. But the more I think about it, the less I want the world to tell me my worth. To be honest, I don't even want a man to tell me how beautiful I am. I'd much rather be known and loved for the personality, the faith, the life I live than the way I look. So I'm choosing to channel the fear into excitement. I'm excited to save a little more in my wallet (seriously!! ), spend a little less time in the bathroom each morning, and learn to love my complexion, no matter what.